Establish in 1983, MWS Student Camps has welcomed thousands of young people from more than 50 nations to Canada. For over 30 years, we have facilitated and encouraged our campers’ love of language through a variety of excursions, classes, camp activities and more. 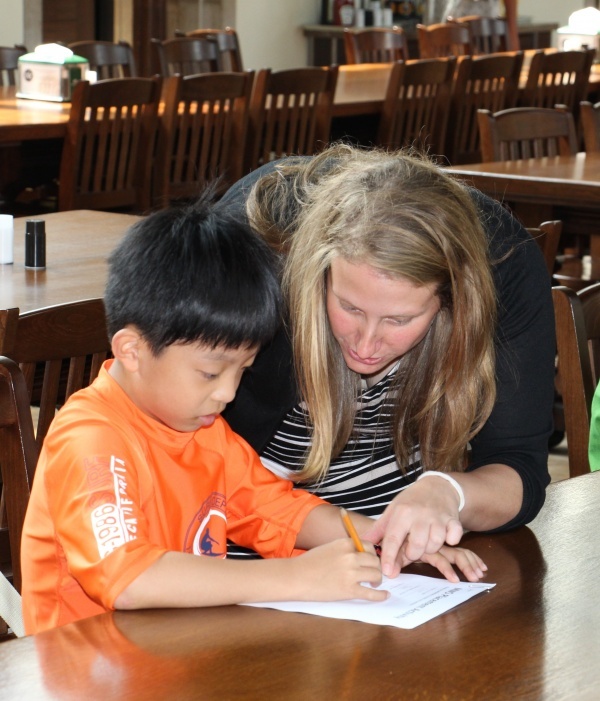 At MWS , we know important caring and supportive counsellors and teachers are to your child’s camp experience. Our dynamic, passionate, and qualified staff has extensive training and experience in working with young individuals. We offer innovative, vibrant and exciting programs for young language learners. Attention to quality and a personalized level of service and support are MWS guarantees. MWS Consistently offers carefully designed, quality programs year after year. Since 1983, reputable agencies promotion international education have endorsed MWS for our proven programs, dedicated staff, and satisfaction from students and their parents. Innovative, exciting and educational, MWS programs are specifically-designed to appeal to each age group. They focus on communication and participation and are based on student-centred learning and integration. Innovative, exciting and educational, the MWS Montreal French camps are specially designed for students who are interested in learning French while being immersed in the heart of Canada’s francophone metropolis - Montreal. 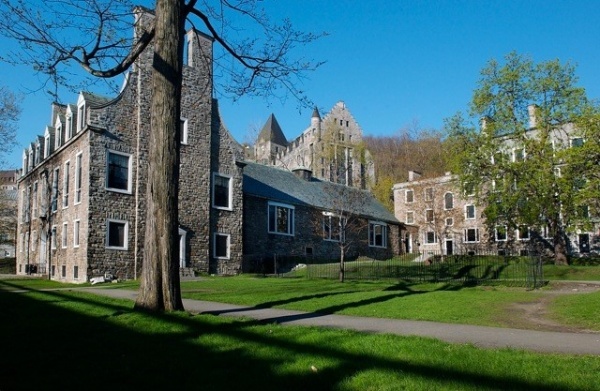 A variety of excursions, classes and sporting activities plus fully organized on-campus programs keep the students engaged, occupied, and learning throughout their stay. At MWS, speaking in French is highly encouraged. We take pride in the fact that all of our staff are native French speakers at all times - including during classes, excursions, tours, and camp activities. * Residential and day program options. Famous for being Canada’s « bilingual metropolis », Montreal is celebrated for its European flavour, colourful history, delicious restaurants, great shopping and rich, cultural life - making it the perfect city for MWS. The MWS Montreal French Caps are located on the McGill University Campus, in the heart of Montreal, at the foot of Mont Royal. An architecturally stunning an historic campus dating back to 1821, it’s located within walking distance to all of Montreal’s greatest attractions, and is close to the metro system for easy travelling. Students and staff at the MWS Montreal French Camps live in the clean, comfortable residence of McGill University. McGill University provides a nutritious, in-house meal service for the camps, and lunches and dinners are also offered in a variety of restaurants in Montreal. Continental breakfast includes: orange/apple juices, various breads (loafs, muffins, croissants, bagels), choice of cereals, fresh cut fruit and oatmeal. Restaurant meals: Variety of options to choose from at each restaurant, including vegetarian options, hot or cold choices (depending on the meal), salad and/or soup options. Restaurants of choice: MWS works with restaurants in Montreal to offer good, nutritious options for all meals. The majority of restaurants used are small, privately owned, with lots of character and attention to quality and service. At MWS, we know how important a caring, supportive counsellor is to your child’s camp experience, which is why we carefully select our staff based on their character, sense of responsibility, and encouraging attitude. Native French-speaking university students (minimum 19 years old), our staff undergoes extensive training and has experience working with young individuals. Senior Camp - 1 staff member for every 10 residential campers. At MWS, we complement French classes and camp activities with a wide variety of daily excursions conducted in French. These interactive excursions are a fantastic, hands-on way to keep our students engaged and excited about learning. All of our excursions are age-appropriate, educational and organized and supervised by MWS counsellors. * Half-day excursions include: interactive walking tours of Montreal, biome, Science Centre, Olympic Park, professional sporting events and more. * Full-day excursions include: trips to Quebec City, Ottawa, La Ronde, ole Notre-Dame and more. 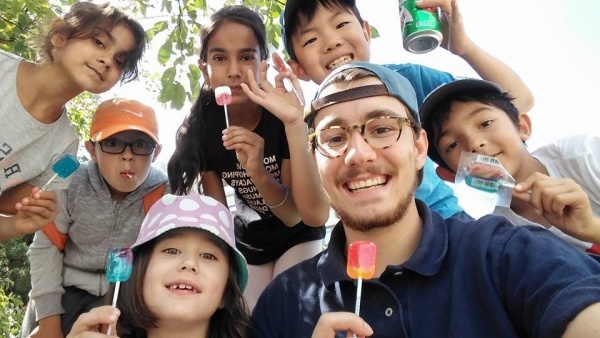 Organized and led by MWS counsellors, our wide-range of daily camp activities are conducted in French and have been specifically designed to encourage the practice and use of French language skills. * day activities: Scavenger hunts, sports, theme night, MWS Olympics, swimming and more. Our French Day Camp programs operate six days a week, Monday to Saturday, from 9:00 a.m. to 5:00 p.m., with early drop off and late pick up options offered. All classes, excursions, activities and meals are held together with students in the residential programs. Our classes are divided according to two factors: the level of French knowledge, and the age of the students in each camp. On average there are 12 students per class, with a maximum of 16. This ensures that every student gets the individualized attention they deserve. At MWS, our goal is to make learning fun and engaging. Our lessons have been carefully and specifically designed for each age group’s educational needs. They focus on communication and participation and are based on student-centred learning and integration. * Weekly report cards on student progress and MWS certificate upon completion. Core Language – covers speaking, listening, writing and reading study. Students learn new vocabulary, pronunciation and conversation skills, depending on level of study. Idioms are also introduced at the high-intermediate and advanced level classes. Project Work/Presentation – weekly projects relating to vocabulary and grammar study. Examples include camp newspaper, debates, oral presentations, “Vocab Olympics”, movie reviews, etc. "French Immersion Experience!” MWS Montreal French Camps at McGill University in the center of Montreal-residential and day camps. 33 years of experience guarantees a high-quality program with personalized attention and support. Juniors (ages 7-10), Inters (ages 11-13), and Seniors (ages 14-17). Programs include language study, age focused excursions, and camp activities.